Many elements contribute to a campaign’s success, and it pays to know which factors are driving a winning campaign. 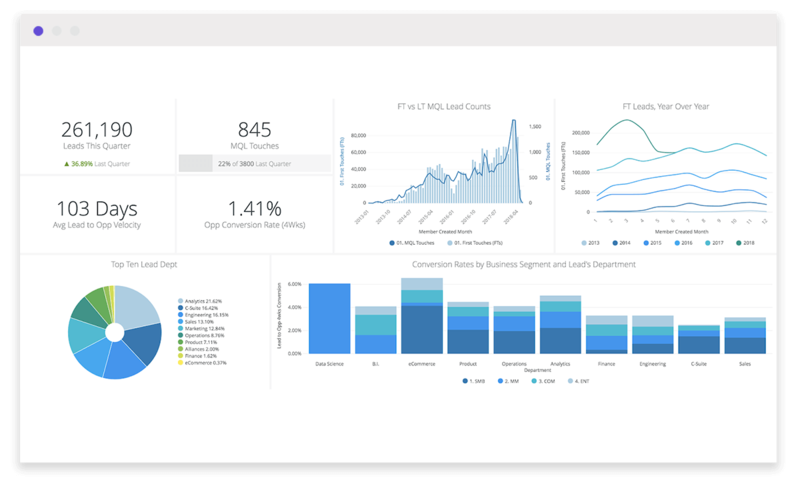 Campaign attribution in Salesforce allows you to identify and dig into the campaigns that are driving revenue and contributing to deals. 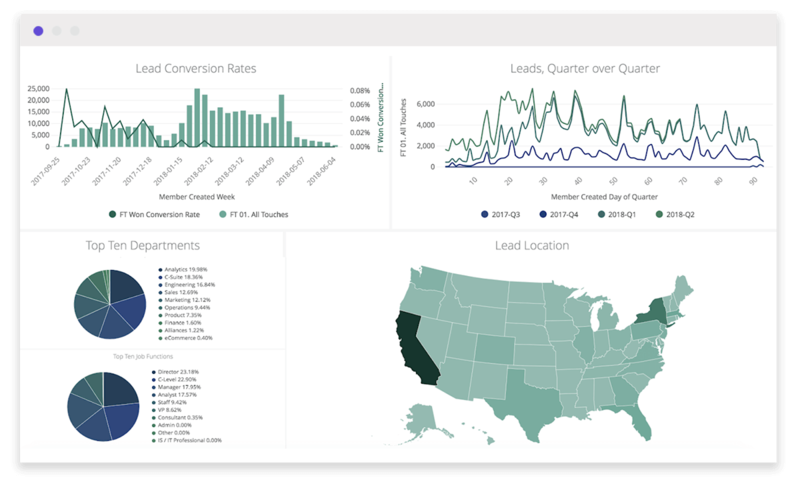 Identify areas for campaign improvement by getting a complete picture of your sales funnel. 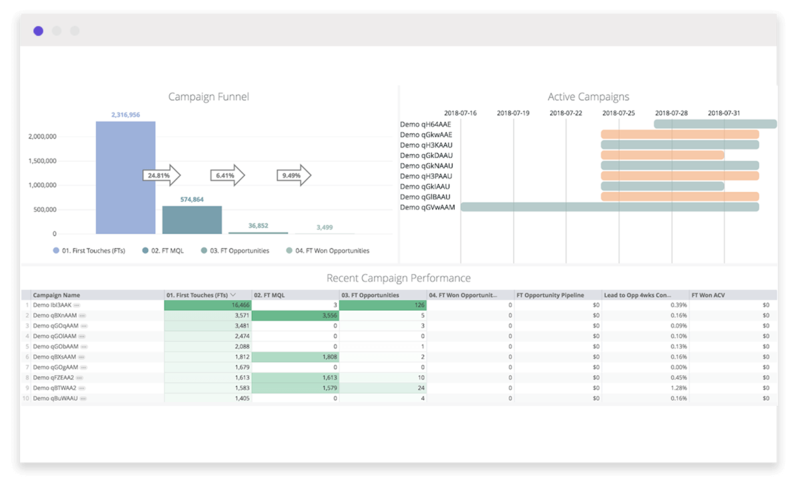 Customize funnel and attribution models in order to examine your campaign sales pipeline and track to campaign goals. Refine campaign targets by slicing campaign data by person department or job function, company size, geography, or other person attributes. Conduct more complex analysis such as cohort analysis and conversion rates.